The Upstate of SC is growing by leaps and bounds. Mold testing and Mold removal have never been so important because of the influx of real-estate transactions. Property values are skyrocketing with no end in sight. As a mold remediation expert in Greenville, SC, my phone has been ringing off the hook with questions about mold testing and remediation in Greenville and Simpsonville SC. What was once considered trivial, mold inspections are gaining importance alongside the housing boon. “An ounce of prevention is worth a pound of cure.” All too often folks selling a home are under contract only to find that crawl space mold treatment is devaluing their home. 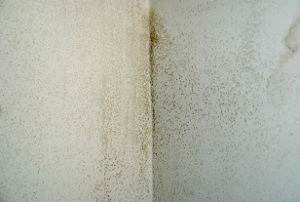 If you or anyone you know is buying or selling a home in South Carolina, mold testing is the 1st thing to have done. The cost of mold testing could save thousands of dollars in the buying or selling of a home. Mold removal companies in Greenville and Simpsonville, SC are popping up everywhere. Mold testing should be done by a long-standing company w/ a transparent history. Serv-Pro, Rainbow, as well as Terminix, are jumping on the bandwagon claiming to offer mold removal in SC. Mold Removal Companies in Greenville, SC often charge exorbitant fees for less than mediocre service performed by sub-contractors with no expertise. Although folks buying and or selling in this area stand to make a windfall, they also pose the risk of losing as much. Call Douglas Whitehead, owner of Arrayofsolutions.com at 864-710-6413 for a free consultation. I offer next day results for a fraction of my competitors. 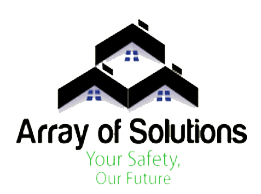 If you or a loved one is price shopping, call Arrayofsolutions.com first. One of the longest standing mold companies in the greater Greenville area, we boast a perfect track record as noted by the Better Business Bureau.